Sign Up below for a FREE trial class Today ! A great place to start your child’s Martial Arts journey, Alpha MMA offers kid’s jiu-jitsu for children ages 5 to 12. Alpha MMA kid’s classes emphasize building confidence, fitness, and quality of character. Learn how to punch, kick, clinch, and knee, all while getting in great shape! Alpha MMA’s kickboxing curriculum focuses primarily on fundamental punching, proper defense, and a variety of kicks. As one of the strongest women’s Jiu-jitsu schools in the country, Alpha MMA proudly boasts a large student base of adult women, which is approximately equivalent to the number enrolled men. Alpha MMA, located at 152 Beckwith Street in Carleton Place Ontario is a unique and comprehensive Martial Arts Academy, dedicated to the highest possible pursuit of quality of technique and character. The program is overseen and run by Peter Tremblay, who has over 40 years’ experience in practicing and teaching martial arts. 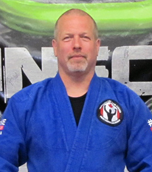 Peter has produced a wide variety of athletes, including professional MMA fighters and BJJ World Champions, but also prides himself in being able to accommodate all types of students. 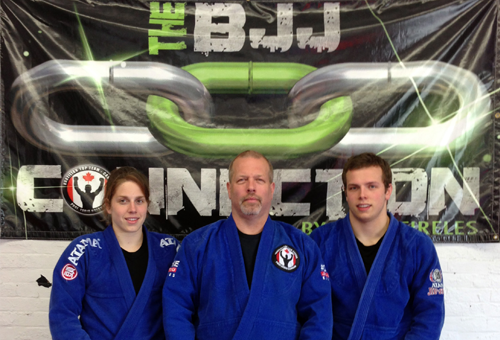 Alpha MMA is affiliated with the BJJ Connection run by Prof. Ben Meireles which is part of BTT Canada. Classes at Alpha MMA have been constructed to provide both an elite level of instruction, and welcoming atmosphere, so that both the competitive and the recreational are able to get the most out of each class. We have students ranging in ages from 5 years to 65 years old, and a variety of classes to suit each individual’s interest. Look no further than Alpha MMA for comprehensive and accommodating Martial Arts training! Wins Gold at the World Championships!!! Peter Tremblay is the owner and head instructor of Alpha Mixed Martial Arts in Carleton Place, Ontario. Peter has a long and rich career in martial arts.